Rhythm Bank Color-Coded Handbell Cards include the C, F, G, G7, A minor, D minor, and E minor chords, and provides an excellent introduction to the chord playing method. This music instruction card set can be used successfully with many of the songs included in 8 Note Bell Songs and More 8 Note Bell Songs books (See recommended accessories on this page). 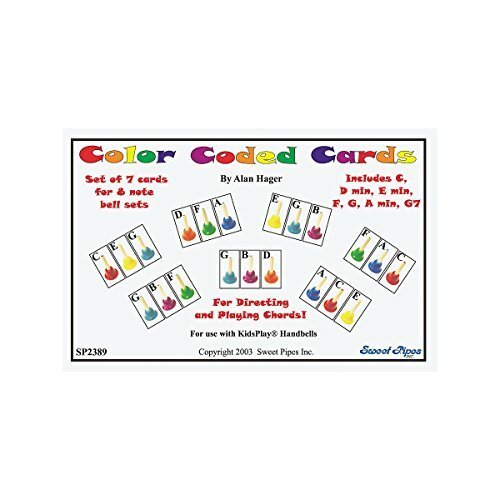 The chord cards are color-coded to be compatible with the Kidsplay handbells and deskbells.